Do you dream of an all LEGO Christmas? Or maybe you want everything Rogue One? 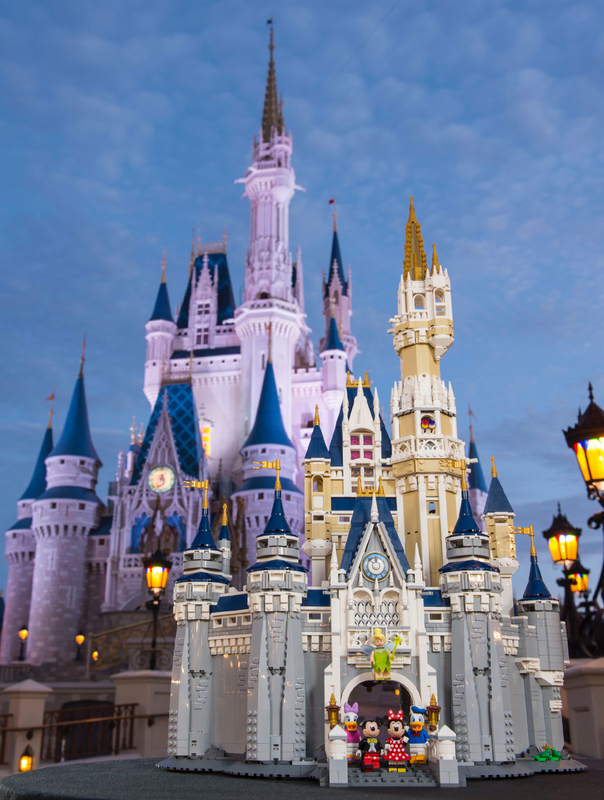 Or perhaps you’ve dreamed of building your very own Disney castle at home? If that’s the case, you need to see what LEGO has in store for the holiday season. Everything from the new Doctor Strange Sanctum Sanctorum to the Rebel U-Wing Fighter to The Disney Castle, LEGO has the right set for you or your children…or both! Of course, there are plenty of sets still available from previous releases. LEGO has a great selection to choose from including the recently released Disney minifigure line. Just go to Shop LEGO to find out. But for our purposes we’ll focus on just the latest releases coming out before the holidays really get going. LEGO has an interesting release schedule. There will be no other sets coming out before the end of the year. What you see is what you get. Which is good and bad. Good because you already know what you want and don’t have to wonder if something will come out December 1st that you HAVE to get. Bad because sometimes they run out. My advice is to shop early if you have a LEGO set you must have. Disney: The set to get this holiday season is The Disney Castle (set# 71040). At over 4,000 pieces and standing 29″ tall, it also comes priced accordingly – $349.99. It is an investment. But the castle is truly beautiful, comes with an exclusive minifigure (Tinker Bell), has a ton of details, and will be a treasure to enjoy. Made for LEGO builders 12+, younger ones will definitely enjoy it once its built. Other sets with a Disney theme are in the Disney Princess line – a line similar to the LEGO Friends series. The figures are similar in sculpt and have a more rounded look. Belle’s Enchanted Castle (#41067) features Belle in her classic yellow dress, a transforming Beast, and lots of great features. At 374 pieces this set for 8-12 year olds costs $49.99. The other Disney Princess set is Rapunzel’s Best Day Ever (#41065), a cute set of 145 pieces that run $19.99. Marvel: The biggest set of the season is Spider-Man: Web Warriors Ultimate Bridge Battle (#76057). With nearly 1,100 pieces it has some great pieces. Not only does it have a Spider-Man minifigure, but also Spider Girl, Scarlet Spider, Aunt May, Kraven the Hunter, Green Goblin, and Scorpion. It’s a complete playset with a bridge, cars, bad guys and everything. At $99.99 it’s designed for builders age 8-14. Other sets include Spider-Man: Doc Ock’s Tentacle Trap (#76059) at $39.99, Spider-Man: Ghost Rider Team-up (#76058) at $19.99, and Tanker Truck Takedown (#76067) at $29.99. 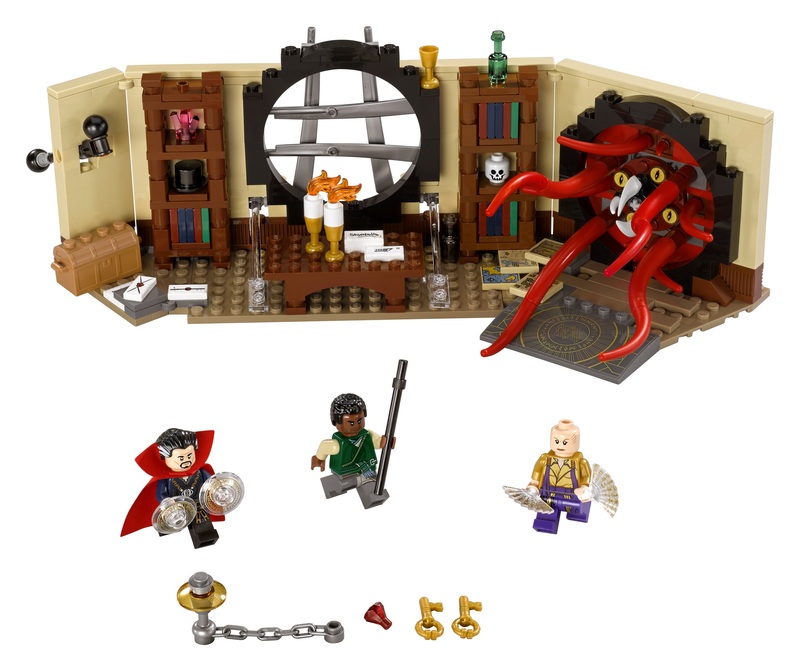 But perhaps my favorite is Doctor Strange’s Sanctum Sanctorum (#76060) at $29.99. This 358 piece set features Doctor Strange’s mystical lair from the upcoming Marvel movie. That alone makes me excited, plus it’s the first set to feature characters from this movie! Star Wars: The Star Wars category is the most extensive and has the most variation. From what LEGO calls buildable figures to massive sets with thousands of pieces to smaller ones featuring your favorite Star Wars characters from the movies and TV. The must-have sets for the holidays will be the ones featuring Rogue One. The Imperial Assault Hovertank (#75152 at $29.99) features Chirrut Imwe, the AT-ST Walker (#75153 at $39.99) features Baze Malbus, Krennic’s Imperial Shuttle (#75156 at $89.99) has Bodhi Rook, Pao, K-2SO, 2 Death Troopers, and Director Krennic, and the Rebel U-Wing Fighter (#75155 at $79.99) which has what is sure to be everyone’s favorite minifigure Jyn Erso along with Cassian Andor and Bistan among others. But my favorite one is the TIE Striker. At 543 pieces, this Rogue One set made for ages 8-14 is just plain awesome. One of the new ships featured in the movie, it is sleek looking and comes with an Imperial Shoretrooper, adjustable wings, and spring-loaded shooters. Very cool. But if you’re dying for the most impressive set available, you have to get the Death Star (#75159). This is not the first time this set has been issued, but it is perhaps the most detailed and extensive. 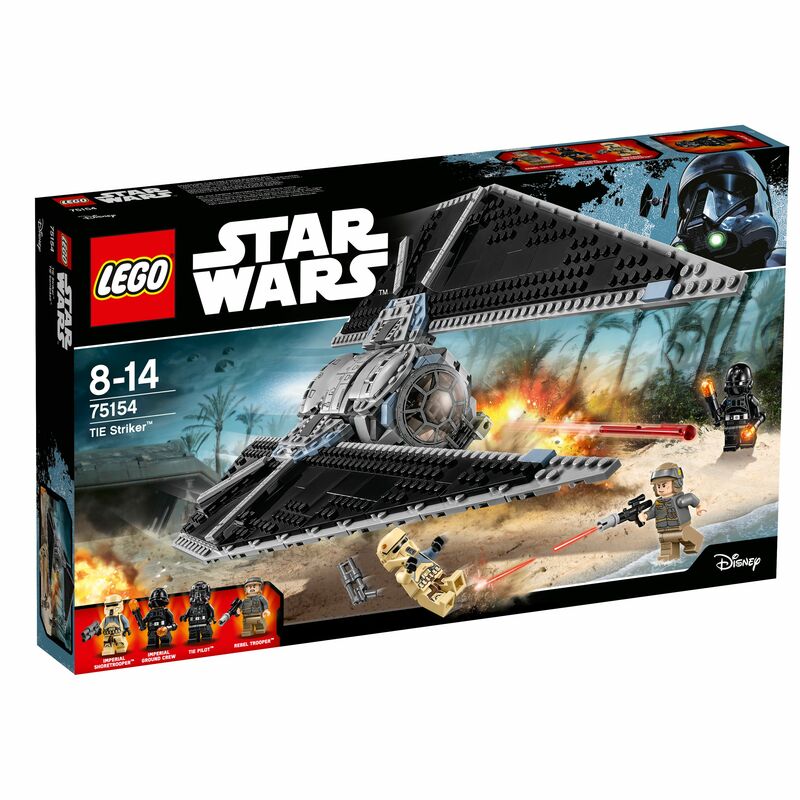 Another set at over 4,000 pieces, it comes with the very high sticker price of $499.99, but has 23 minifigures and 2 droids as well as everything else. Three versions of Luke, two versions of Han Solo, Chewie, C-3PO, R2, Leia, Obi-Wan, Darth, the Emperor, and tons of others. It also has famous scenes like the trash compactor, the tractor beam station, swinging across the chasm, the Emperor’s chamber (I know, that’s from the second Death Star), the prisoner cell block, and more. Wow. So how many sets are you planning to buy for yourself or your loved ones?